While NBA free agency news and anticipation is almost at a fever pitch, Charlotte Bobcats owner Michael Jordan grabbed headlines today as well. But the Bobcats aren't expected to do much in the free agency hunt this summer. M.J. returned today as number 23, in his old Chicago Bulls uniform, as 2K Sports unveiled the cover of the upcoming game in its series, NBA 2K11. 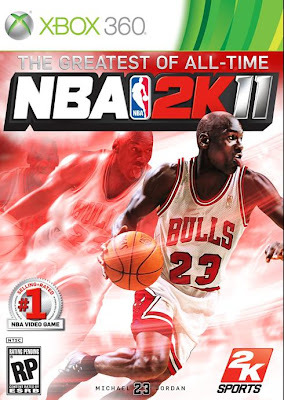 NBA 2K11 will be released for all major video game platforms on October 5, but 2K Sports has yet to reveal what Jordan's character will be like, though they're touting that this will be "the best basketball game that's ever been put out." For more info, visit www.2ksports.com/games/nba2k11.